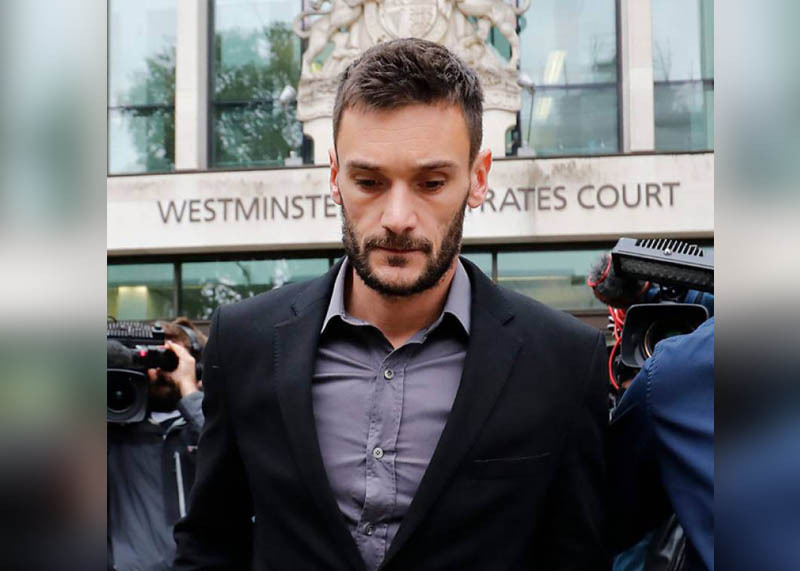 LONDON: France’s World Cup-winning captain Hugo Lloris avoided jail but received a 20-month driving ban and a £50,000 ($65,000) fine on Wednesday for drink-driving in central London. Lloris was one of the heroes of France’s commanding march to their second football World Cup in 20 years. The triumph turned the 31-year-old into a national hero and confirmed his status as one of the most respected goalkeepers in the world. But Lloris’s dream turned into a nightmare when his Porsche was pulled over for a routine stop in central London at 2:20am on August 24. The Daily Mail tabloid said Lloris registered 100 microgrammes of alcohol per 100 millilitres of breath in a police check. The amount is roughly the equivalent of seven glasses of wine, although alcohol levels depend on multiple factors such as age, gender and metabolism. The legal driving limit in England in a breathalyser test is 35 microgrammes. Police said Lloris nearly hit parked cars and went through a red light. They found vomit in the car after stopping him. Lloris spent seven hours in a cell that night before returning home on foot.